Now lamp could be started from ~150V DC, discharge current is 100mA with ~42V voltage drop. 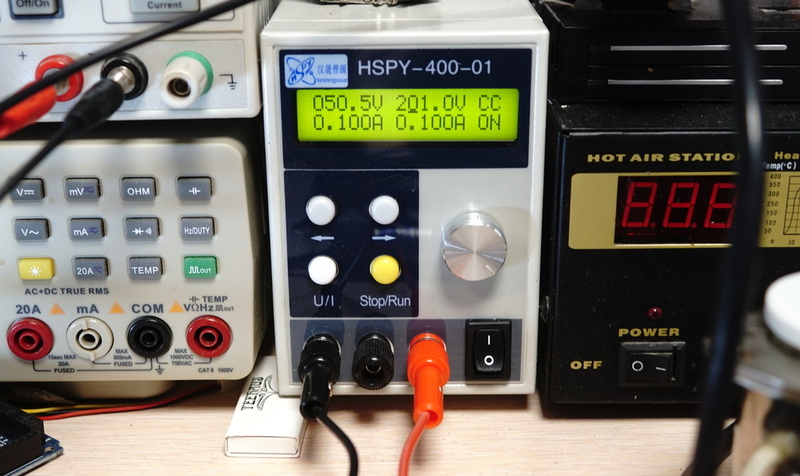 DCDC power supply is not fast enough to support discharge due to negative resistance of the lamp, so ballast resistor is required. Minimal resistor for stable discharge appeared to be ~74Ω. With lamps of this type one can disable filament heating during discharge - this will improve efficiency and expand lifetime. Without heating lamp could not be striked even by 400V DC, higher and higher filament current reduces striking voltage to 100-150V. But that could be further lowered by preheating both filaments and going AC using H bridge.